Communicating Trauma explores the various aspects of language and communication and how their development can be affected by childhood trauma and overwhelm. Multiple case-study vignettes describe how different kinds of childhood trauma can manifest in children's ability to relate, attend, learn, and communicate. These examples offer ways to understand, respond, and support children who are communicating overwhelm. In this book, psychotherapists, speech-language pathologists, social workers, educators, occupational and physical therapists, medical personnel, foster parents, adoption agencies, and other child professionals and caregivers will find information and practical direction for improving connection and behavior, reducing miscommunication, and giving a voice to those who are often　our most challenging children. "Communicating Trauma is an amazing book about traumatized children and the unique ways they express their suffering. Most importantly, it is a roadmap for healing. Written with sensitivity, care, understanding and clinical wisdom, this gem of a book is clear, accessible, and includes poignant and instructive case examples. Both professionals and parents will find invaluable help here." "Communicating Trauma is essential reading for any clinician who wants to understand the wealth of meta-information and emotion banished to the shallow graves of childhood trauma. With her typical humility and incisive intellect, Yehuda elegantly spells out how the banal viciousness of early traumatic experience leaves children, adults, and psychotherapists with the burden of deciphering what is being said, sometimes without ever opening a shuttered mouth. Communicating Trauma is an able guide to creative approaches in understanding and relieving the aftereffects of both inadvertent developmental and, more sadly, ‘typical’ traumatic experience." "Communicating Trauma’s most powerful contribution resides in Yehuda’s skill in providing the reader with an encyclopedic panorama of powerful and poignant vignettes that drive her messages home with clarity, and at times with unsettling force. While the book seems to be written for those who provide a wide array of services and interventions for traumatized children, I strongly recommend it as well for clinicians like me, who treat adults who suffered childhood misfortune and mistreatment. For me, reading Communicating Trauma was almost like entering a time machine and seeing my patients decades before I encountered them in my consulting room. It provided me with a profoundly eye-opening and enlightening experience I wish had been available to me when I began my work with traumatized adults." "Na’ama Yehuda absolutely gets it—the impact of trauma on children—and she weaves it together with captivating clinical vignettes, clear explanations of the baffling, complex behaviors that these children exhibit, and useful practices. 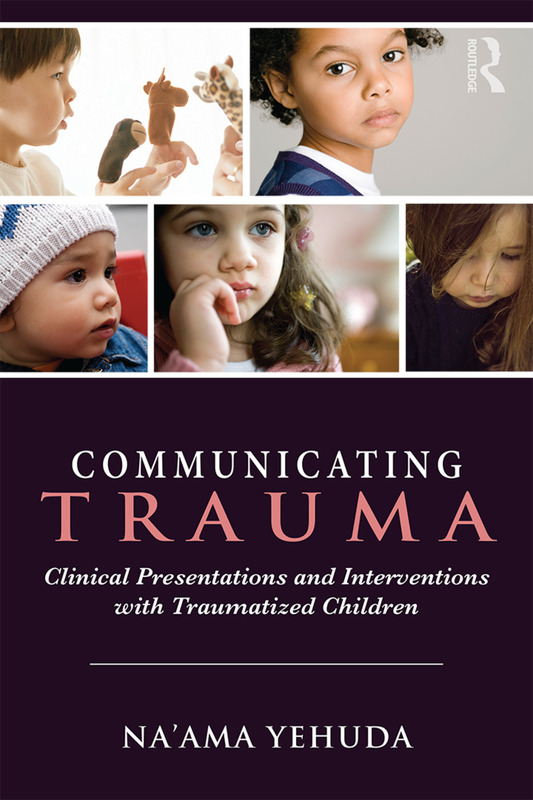 Communicating Trauma will serve as an inspiring guide to a wide range of professionals and caregivers who work with children. Yehuda writes with deep compassion and understanding of children, enabling us to decipher their behavior and sometimes disguised communication with understanding and attunement." Na’ama Yehuda, MSC, SLP, is a speech-language pathologist and audiologist with over 25 years’ experience. A clinician in private practice, she consulted for the New York City Department of Education; provides international professional development and consultations on communication, language, trauma, and development; and is the author of several publications on the topic. She was elected to serve on the boards of directors of the Israeli Speech Hearing Language Association (ISHLA) and the International Society for the Study of Trauma and Dissociation (ISSTD), chaired and volunteers on taskforces and committees, and co-chairs the Child and Adolescent Committee of ISSTD. She also writes and publishes fiction.